AICTE is a statutory body under the ministry of Human Resource Development, Government of India. This Advisory Body was set up in November 1945 and its head office is located at New Delhi. 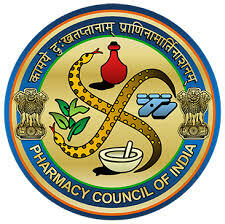 PCI is a statutory body constituted under the Pharmacy Act 1948.Objectives of PCI is to regulate the Pharmacy education in the country, for the purpose of registration as a pharmacist under the pharmacy Act. They also regulate the profession and practice of pharmacy. Our college has been approved by the PCI as per the decision of 99th Central Council meeting on 10th and 11th June 2016 held at Maharashtra,vide reference No:32-1225/2016-PCI/22453-55 dated 10th August 2016. Our college has been approved by the PCI as per the decision of 281st Executive Committee meeting of Council held on 4th &5th Novemeber 2017at New Delhi,vide reference No:32-1225/2016-PCI/47689-91 dated 24th November 2017. The Department of Health and Family Welfare under the control of Government of Kerala, in charge with health policy in kerala. It is also responsible for the proper functioning of all the fields relating to health including educational institutions conducting medical and paramedical courses. The government of Kerala has granted Non Objection Certificate to our college as per GO(MS) No:255/2015/H&FWD;, Thiruvanathapuram dated 12-11-2015. 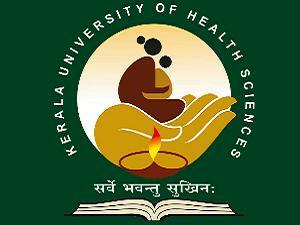 The University was established by the “Kerala University of Health Science Act 2010”, for ensuring proper and systematic instruction, teaching, training and research in modern medicine and other allied sciences. All colleges and institutions in Kerala, imparting professional education in Health Care are affiliated to this university. Our college is affiliated to KUHS as per order No:17625.AC.F/Pharm/KUHS/2014 dated 24-06-2016.